Abstract: The hands, just like the face, are highly visible parts of the body. They age at a similar rate and demonstrate comparable changes with time, sun damage, and smoking. Loss of volume in the hands exposes underlying tendons, veins, and bony prominences. Rejuvenation of the hands with dermal fillers is a procedure with high patient satisfaction and relatively low risk for complications. 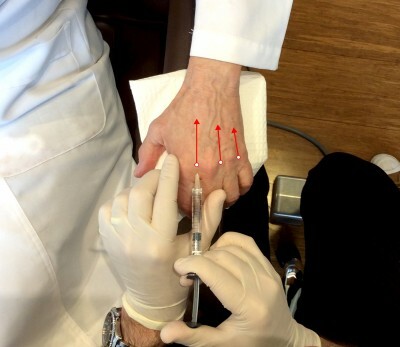 This study will review relevant anatomy, injection technique, clinical safety, and efficacy of dermal filler volumization of the aging hand.